Poland, Romania, Greece, England, Albania, Germany and other countries. Have signed in advance and paid in advance). A T-shirt, a front apron and a certificate of participation. 10:00 -18: 00 start at 10:00 competition. Jury, sponsors and organizers of the championship. THIS IS FOR ADJUSTMENT. Pizza Classica, Pizza Napoletana, Pizza Romana, Pizza Creativa and Pizza Acrobatica. Prizes will be awarded for 1st place (Championship CUP ), 2nd and 3rd place. There will be a "Pizza Prize for participant from the farthest country ”. set: hat, t-shirt, apron, certificate of participation. 3. Every registered player will receive a participation number. 4.Judges will check the quality of all the products that participant bring . Participants will report on jury shortcomings. 6. The competition will be held at the Electric Bakeries. Brand (logos) of companies other than sponsors of the championship. Winners are required to wear the uniform received by the organizer during the event. Otherwise, they will not receive the prize at Ceremony. 8. 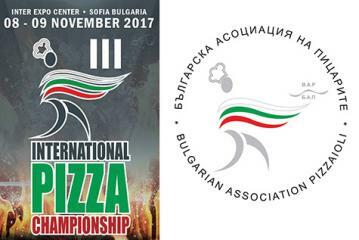 Participants are not allowed to wear during the competition: the bracelet, Rings and other accessories that do not meet hygienic and sanitary regulations. Male participants are forbidden to have an unformed beard. The type of preparation of the dough and the ingredients used. Prepare their pizza: starching out , garnishes, cooked and when is ready to presents it to the judges personally - all this for a maximum of 15 minutes. The pizza should be cut into pieces and presented to the jury for tasting. Judge by rollover and baking technique. Assessing the taste and baking of the pizza. Each contestant will be judged first by the technicians OF BAKING AND THEN TO THE JUDGES FOR TASTE AND VISION . The final result of the jury will be expressed in a three-digit number. The winner of the contest is the one with the most points. 12. The decision of the judges is final. 13. It is forbidden to offer gifts to jury members. Video of the winners without the financial compensation of the participants themselves. The rules and regulations described above. Refrigerator with temperature + 4 ° C / 6 ° C, , sanitary-hygienic materials.